A joyful, toe-tapping rouser, Blessings Over Me is a sure winner! You will love it, your choir will love it, your congregation will love it; maybe even your pastor will love it! It won't take long to prepare, but it offers years of happy returns on the investment. Blessings will flow. Mary McDonald : Lead Me On! Let Us Not Forget relives Jesus' pain-filled Holy Week sacrifice. Through it, we relive the loving grace that his sacrifice made possible. Regi Stone and Robert Sterling combine their many skills and gifts to bring us a moving anthem of such depth, its effects will linger long after its presentation. The powerful accompaniment offers the pianist the chance to share as equal partner with the choir, without taking over center stage. Don't miss this rare opportunity. Experience Let Us Not Forget. Gifted composer and wordsmith, Pepper Choplin, offers a fresh take on 1st Corinthians 13 and on living a Godly life. The easy going Gospel swing feel is fun for both the choir and congregation, yet the words are thought provoking truth. Those words pray that we live our lives for sharing and showing God's boundless love. May it be so. 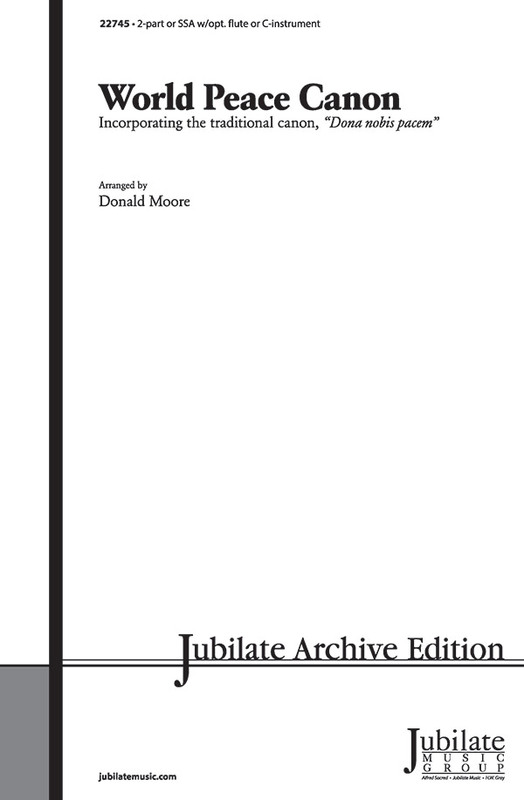 Donald Moore has arranged this popular traditional American spiritual in a relaxed, gospel style. The soulful accompaniment shines with blues harmonies and syncopated rhythms. 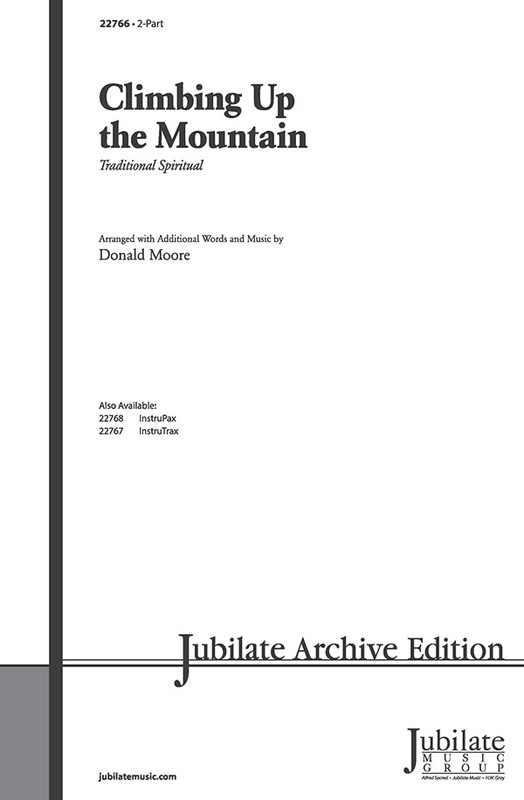 Don has written a memorable new melody that flows seamlessly in and out of the choral texture. 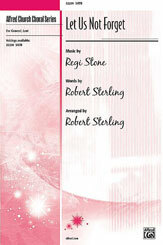 Easily prepared, hard to forget, itis a welcome addition to any school or church choral library. 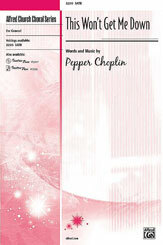 Pepper Choplin is renowned for his inventive, inspired worship music. This exuberant African walking spiritual is resplendent with stylized vocal effects creating the image of the ship of disciples sailing to the heavenly kingdom. Solid vocal writing with call-and-response and a soloist (the captain of the ship!) add to the fun. For school concerts or worship throughout the year, especially All Saints', Baptism, Confirmation, Discipleship and Lent. Gospel to the core, this statement of faith and strength in Christ is not only timely, it is flat out fun! It is not difficult vocally and the rhythm parts are accessible to any level player from high school on up. So relax and enjoy.